Flowers aren’t just for weddings! 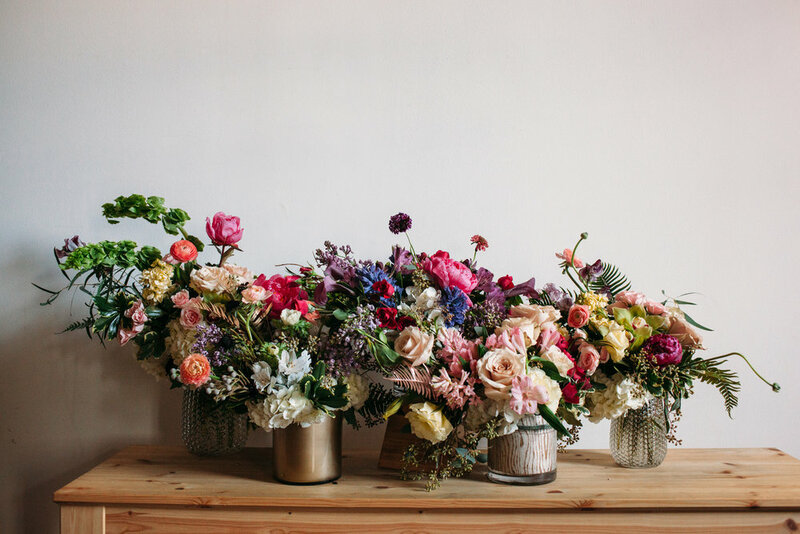 We love making arrangements and bouquets for every occasion: birthdays, anniversaries, new babies, new houses, I love yous, Mondays, or any other day! Give us a call, fill out the form below, or stop by our shop to place an order. We can deliver or you can pick up from our shop at 910 Pecan Avenue. We deliver throughout the Charlotte area, as far north as Huntersville and far south as Ballantyne. Our minimum for delivery is $75 (an average size for this arrangement would be 12-14” tall and wide), while our average orders are between $100-$125. Every arrangement is unique and customized to the recipient, but please look at some examples below of our design style. Our sympathy designs are much like our everyday designs in that we use only premium flowers and upscale design techniques. 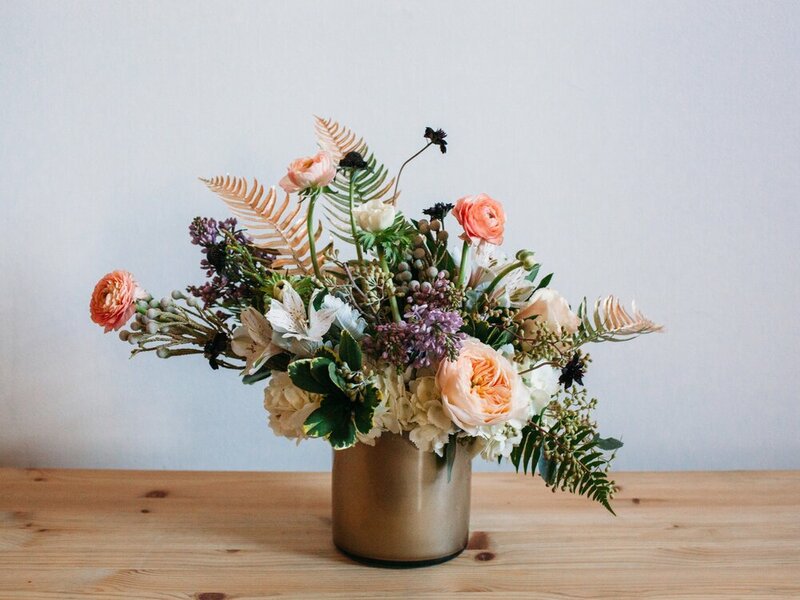 We believe in elegant, timeless, and classic designs for funeral arrangements and understand that this is a sentimental time for your family and friends. Loved ones passed should be honored and celebrated with gorgeous blooms and arrangements. We specialize in arrangements that will stand out against all other sympathy flowers- refined, unique, and charming. We offer casket sprays, standing sprays, wreaths, plants and fresh cut arrangements in coordinating colors and a variety of sizes. Please see a few of our past orders below, designed as touching tributes. To order please fill out flower order form above and make a note of what type of arrangement you would like. Just can't get enough of the pretty? Want to be surrounded by floral beauty every week? Join our Subscription Club and we'll make sure you're never without. We are super excited to be offering this option to our regular clients. Our subscription program allows you to send or receive flowers on a regular schedule. 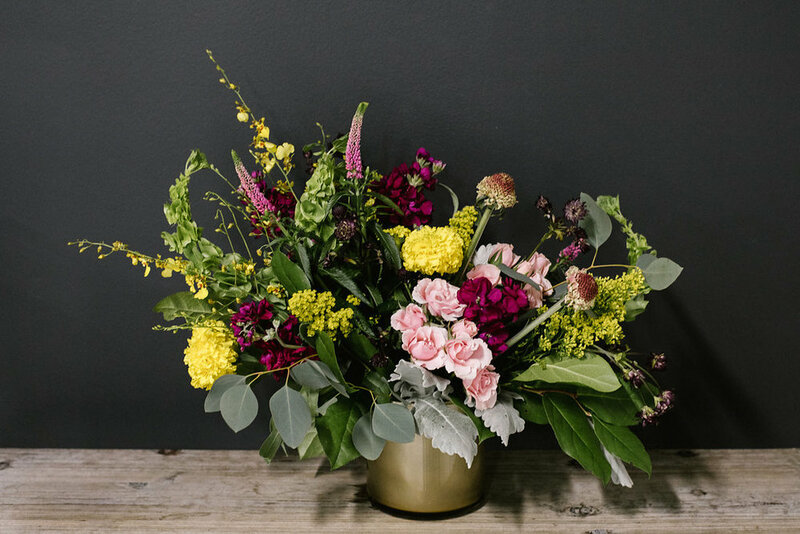 We offer designs of seasonal blooms in a vase. You choose the frequency and where you want them to go! Easy as that. Once you receive your arrangement: Place in a cool space away from direct sunlight. Once you receive your orchid: Place plant in a bright room, but not in direct sunlight. Leave it in its place instead of changing its location frequently. Water orchid once a week with 3 ice cubes or a 1/4 cup of water. Roots should dry completely between watering. Tips: When last bloom falls off cut back stem to top of leaves and continue watering once a week. Green leaves mean a happy plant! Once you receive your succulent: Place plant in a sunny space (if placed outside bring inside before first frost). Water moderately as needed.